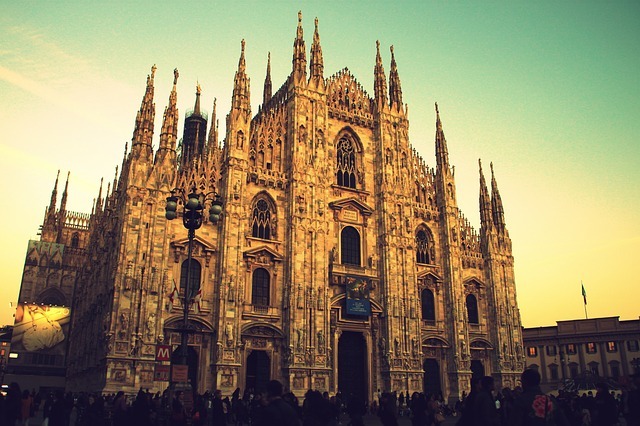 It’s true that when people hear about Milan, they almost instantly think about fashion, but Milan is not about that. It has a large range of activities to offer to its visitors and it can be quite romantic if you choose to spend your honeymoon there with your loved one. If you’re newlyweds looking for interesting and romantic things to do and see in this amazing Italian city, you’ve come to the right place. We will provide the best 7 tips on what to do during your honeymoon in Milan. Once you arrive in Milan, you’ll be mesmerized by the beauty of its streets. The canal network, the street artists, the fancy places and the vintage atmosphere will make you desire to wander on its streets as much as possible. Romantic walks will give you time and perfect circumstances to be together, talk and hold hands. The canal network which reminds you of Venice has many cafes and restaurants near it. Once you taste the coffee and the gelato there, you will instantly become happier, regardless of what the weather is like. Make time to just sit back and relax while admiring the great views this city has to offer during one of the best holidays in your life. Spending time together in a fancy hotel is compulsory. From spa services to breathtaking views that you can admire from your window, hotels there are simply incredible. Do not hesitate to pamper yourselves with room service, Milanese cocktails and coffees and breakfasts in bed. Hotels such as Baglioni will give you the chance to enjoy your romantic days at their best. Milan is a perfect place to have a romantic dinner every evening, as you’re on holiday and you deserve to have everything you want. Even if some of the restaurants may close earlier than you might have expected, you can enjoy fabulous meals outside on the paved streets, together. Pastas, pizzas and local wine are the perfect combination you’ll really miss after your honeymoon is over. Milan is one of the most frequently visited cities in Italy- and for the right reasons. There are many things to see and do here, starting with Lake Como, Portofino and the Dolomites. By setting an itinerary and making sure you reserve time just for the two of you, you’ll have a wonderful honeymoon. Milan is famous for its shopping areas, so make sure you reserve some time to go shopping with your partner. From clothes to souvenirs and home items, you can enjoy a shopping session together and learn new things about each other every time. Milan offers great opportunities to spend time together, in private resorts such as the garden of Villa Necchi Campiglio. It’s one of the holidays that you’ll keep in mind forever, so make sure you gather wonderful memories in amazing places. You can never have enough pictures for your family album. Since you’re newlyweds, you must make sure you gather as many memories as possible- in wonderful places such as Milan. With this tips at hand, you’ve already made sure that Milan will offer you amazing experiences. Choose a room with the perfect view, plan your every day schedule and fill your time with wonderful experiences that will bring you both smiles every time you think of this holiday.